I love to ring in the new year with a glass of champagne. 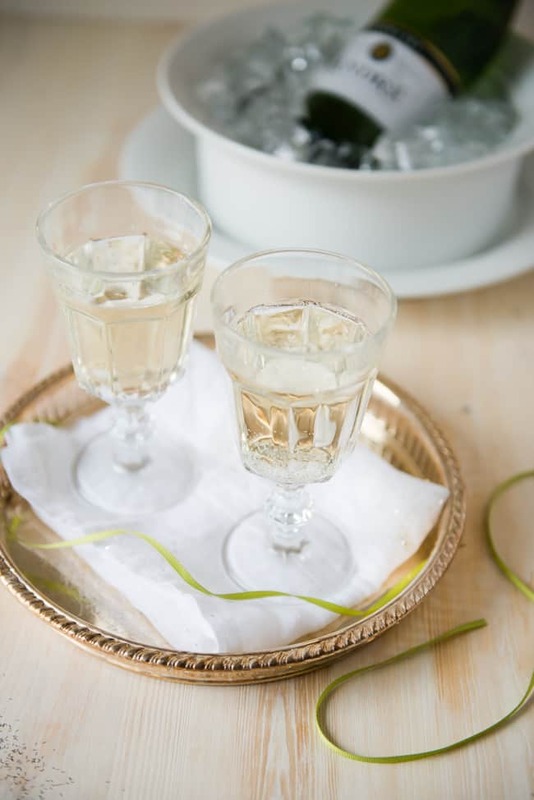 The classic bubbly drink is festive, fun and just a little bit girly. After you’ve welcomed 2015, save the champagne leftovers for your skin and hair. These at-home beauty treatments use the antioxidants and toning properties found in the grapes that make up champagne. So the next time you’re sipping the bubbly, consider saving a glass for a treatment the next day – it just might be the best hangover cure yet! 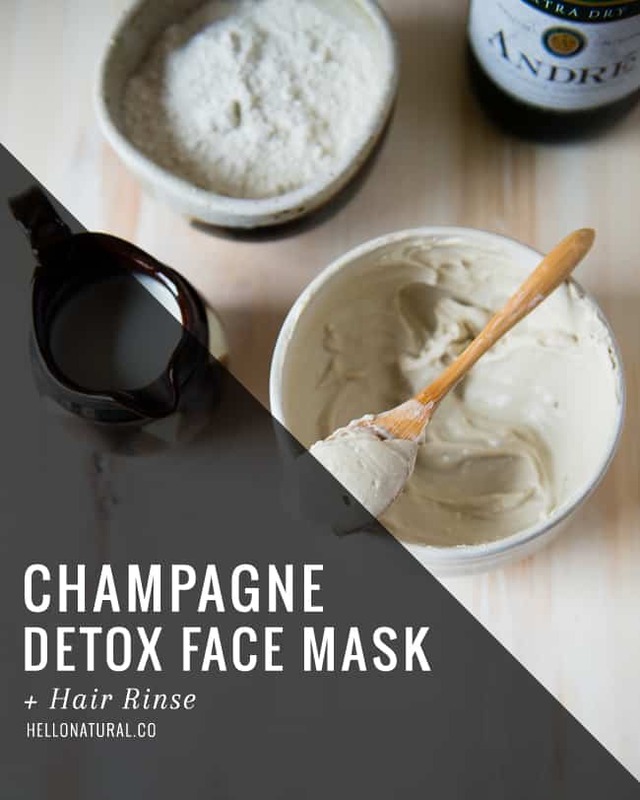 If you need a little detoxifying, then use champagne as a facial mask to help you do just that. This anti-inflammatory treatment will pull toxins from the skin while the antioxidants from the champagne will soothe your skin and give it a lovely glow. Start with the powdered clay in a mixing bowl and slowly pour in the cream, if you are using heavy cream or yogurt with a high fat content you might want to reduce the amount, gently mix in the cream and clay as you pour. Then add in the champagne, mixing the mask the entire time. Apply to face and neck before it starts to dry. The mask should take about 20 minutes to dry. Then rinse with warm water and a washcloth. The polyphenols in champagne can reduce redness in skin. And the carbon dioxide in champagne is known to tighten skin as well. This bath soak is a relaxing choice and when you’re finished you’ll feel the benefits all over. Combine in a microwave safe bowl for about 30 seconds or until warmed. Then pour into the running bath water and enjoy. Champagne is very versatile and can even be used to treat hair. For added shine and to boost highlights this rinse is simple and easy. Simply pour a glass of champagne all over damp hair. From roots to ends, comb thoroughly and then rinse with warm water. Have you ever experimented with champagne in your beauty treatments?